Avada Patches are quick fixes for confirmed issues. They allow you to apply an immediate fix for the Avada version you are using instead of waiting for the next official update. To apply a patch, visit the Avada > Fusion Patcher tab in WordPress admin area and click the Apply Patch button next to the patch. To learn more about the Avada Patcher view this post. IMPORTANT: If patches are applied manually from the download links below, they must be applied in the date order they were released for the Avada version you are using. Applying manual patches is rare, but sometimes needed due to specific server environments. Fixes menu underline highlight style being applied to menu buttons. Please log in to download the patch. Fixes search page post type, terms and missing pagination issue. Fixes IE / Edge column height issue which only have background image set. Template files update for compatibility with WooCommerce 3.5.5. Fixes sticky header animation on mobile when flyout menu is enabled. Adjustments for recent Events Calendar style changes in the filter bar, EC v4.6.26, v4.7 and higher. Fix Google-Font files being downloaded too often when using locally hosted font files. Fixes WooCommerce widget default thumbnail dimensions being ignored. Fixes responsive element display issues, when sidebar breakpoint is different from content breakpoint. Fixes thumbnail image sizes not being correctly rendered in some elements (e.g. gallery). Fixes sliding bar not being scrollable on mobile devices. Fixes Google fonts being incorrectly loaded on some multi language sites. Corrects links on WooCommerce product count filters, which caused 301 redirects. Fixes Avada demo pages zip extraction firing too often. Fixes Events Calendar month view layout issue when Filter Bar Add-on is enabled. Fixes background videos not displaying issue. Fixes privacy embeds translatable strings and cookie argument filter. Fixes string translations for privacy embed placeholder text. Template files update for compatibility with WooCommerce 3.4.1. Fixes missing Google Play Font Awesome icon. Fixes widget area creation not working after demo removal. Fixes portfolio element Theme Option padding not being correctly applied. Fixes Google fonts not being editable in Theme Options. Fixes masonry layouts issue in IE11. Fixes edit post screen on older versions of WordPress (before 4.9). Fixes issue of Font Awesome menu icons not being displayed properly if they were set on some old Avada installs. Fixes empty main menu typography theme options issue on predefined theme skin change. Fixes float clearing issue in recent posts element. Fixes PHP fatal error when Fusion Builder is active without Avada. Fixes content box timeline vertical timeline spacing issue when whole box is linked. Fixes styling issues with featured events when using The Events Calendar plugin. Fixes WooCommerce equal height products not working correctly in IE11. Fixes vertical menu widget display issues when using custom menu. Fixes WooCommerce horizontal tabs border color and MyAccount page layout issue. Fixes pre 5.3 padding values of columns and widget area elements not being correctly converted when editing pages. Fixes blog pagination not displaying pages beyond 5 pages even if there are more pages. Fixes failing demo imports (error 500) when mbstring PHP extension is not available. Fixes sliding bar icon in header v6 being visible, even if sliding bar is disabled. Fixes Theme Options fail to import issue for languages except the default. Fixes new demos not being available in Fusion Builder single pages import. Fixes scroll down issue after Porftolio element loads more posts and Smooth Scroll is enabled. Fixes sliding bar always being open when on right side, used together with smooth scroll. Fixes Events Calendar single event sidebar styling. Fixes issue of nested FB generator elements’ settings not being visible. Fixes content box display for “Classic Icon Boxed” layout. Fixes Portfolio Archive Text Alignment Theme Option not working. Fixes menu height change on form submit. Fixes pull by tags issue in blog element for PHP 7.1.x. Changes WP remote post check URL, to fix error on system status tab. Fixes thankyou.php template being outdated in WooCommerce 3.2. Fixes WooCommerce 3.2.1 zoom issue with the product gallery slider. Fix compiler creating extra JS files for logged-in users. Fixes Facebook social sharing dialog not working. Fixes scroll behaviour for links to anchors on other pages. Fixes gallery element not displaying correctly inside of toggles. Fixes Toggle Active Box Color not working on non-boxed toggles. Fixes “Text display” setting in recent posts element changing from “None” to “Full Content”. Fixes alignment issue of content box icons using icon circles. Fixes “View Cart” link on product rollover not always being clickable. Fixes bulk image upload from within advanced elements. Fixes container and column background image not being visible in Chrome v60 (browser bug). Fixes title size on single blog post when meta details are below title. Fixes Fusion Builder settings window in nested columns and TinyMCE dropdowns (color and heading) not showing on WP 4.8.1. Fixes WooCommerce checkout validation issue, when selling to only one country. Add new demo single pages to Fusion Builder’s import tool. Fixes Fusion Slider full screen mode not always being correct in height in Safari. Fixes layout issues for IE11 and older. Fixes WooCommerce product archive pages in some cases not loading all needed styles. Fixes WPML language switcher vertical align issue in main menu. Fixes MIME types for custom-font files. WooCommerce 3.0.4 maintenance patch for template override update. Fixes menu links when importing the classic demo. Fixes WCAG issue: Menu dropdown does not work when pressing tabs. Fixes Fusion Builder welcome screen columns layout on WordPress 4.8. Fixes cart.php template being outdated in WooCommerce 3.1. Makes Avada 5.1.6 ready for new demo import data structure. Fixes column heights for empty columns in IE and Edge. Fixes portfolio infinite scroll not working, when pagination is taken from Theme Options. Fix issue with slow page loads on specific host configurations after the initial demo import if a remote URL is used as logo. Fixes gravity forms conditionally loaded select boxes being invisible. Fixes visibility options not working for tabs element. Fixes logo being doubled on mobile when using header v7 and custom sticky menu. Fixes ignore equal heights option for columns with centered contents. Fixes WPML footer language switcher not being displayed when using parallax footer. fixes image frame element overflowing centered columns in IE and Edge. Update product registration to improve Envato API responses uptime. Fixes gravity forms conditionally loaded non-enhanced styled select boxes being invisible. Makes Avada 5.0.6 ready for new demo import data structure. Makes Avada 5.0 ready for new demo import data structure. Fixes PHP notice that appears only once, when Fusion Cache is cleared and SG Cache plugin is installed. Fixes Google map width issue on single event page sidebar. Fixes Woo Carousel and Woo Featured Sliders not displaying new products. Fixes the blog theme option for “load more posts” and “infinite scroll” for the assigned blog page and archive pages. Fixes compatibility issue with WPML regarding connection between original and translated posts. Security fix to prevent additional calls to permalink structure (XSS). Please note, when this patch is applied you need to be on WordPress 4.7 or higher, or simply update to Avada 5.1.5. Security fix that adds AJAX request verification for Fusion Builder content importer. Fixes search form not displaying inside of page title bar. Fixes portfolio permalinks being rewritten on Fusion Core activation causing 404 on single portfolio pages. Fixes imageframe images sometimes not being shown in Firefox. Fixes column padding without “px” unit. Fixes new demos not being available in Fusion Builder Demo pages. After patch is applied go to Theme Options > Advanced > Dynamic CSS & JS and click Reset Fusion Caches button. Fix: HTTP/HTTP protocol error in the dynamic-js compiler. Only occurs on not properly configured HTTPS sites. Fix: PHP Fatal error when using the dynamic-js compiler but the uploads folder has improper filesystem permissions. Fixes Fusion Slider element blank selection in Fusion Builder. Fixes WPML issue with menus on archive pages. Fixes order of elements with columns and footer and slidingbar columns on RTL sites. Fixes logos of the file name format logoname10x10.jpg causing tiny retina logos. Fixes flip icon option not working for content box icons. Fixes search page sidebar being set to side navigation when side nav pages are in search results. Fixes Fusion Builder custom template edit. Fixes contact page template alert styling. fixes the issue that editing page view can’t be changed from editor to Fusion Builder. Fixes single demo pages not being imported in Fusion Builder. Fixes compatibility issues on multilingual sites using the Polylang plugin when English is used but other than en_US (for example if creating a Canadian site with languages fr_CA and en_CA). Fixes portfolio element infinite scroll and load more button not working correctly on pages with sidebars. Fixes issue with Polylang when selecting “All Languages” and saving Theme Options. Fixes issue with Recent Posts widget on WooCommerce product-archive pages when sorting products by popularity. Easy WP Localhost prevents WordPress from loading the /wp-includes/http.php file automatically so it needs to be loaded manually before using the wp_parse_url() function. Fix LayerSlider navigation arrows missing from Avada skin and Events Calendar list view addresses. Fixes Layer Sliders not importing with demos. Fixes compatibility issue with WP Super Cache that was causing a blank screen when visiting the theme-options. Adds Classic Shop to the list of Fusion Builder single page demos. Fixes non-persistent cache issues on managed WordPress hosting environments. Fixes undefined index PHP notices on some hosts when saving a post. Fixes Image Frame URL showing up in post excerpt. Fixes post and page edit screens loading and saving slowly. Fixes containers losing their custom name after save. This fixes a white screen / stuck in maintenance mode by ensuring auto update compatibility and correct update nags for future Avada versions. Fixes header v6 menu not being correct on webkit browsers. Fixes the cross sells section on the WooCommerce cart page. Fixes WooCommerce product category shortcode ordering. Google now requires an API key for maps to display. This patch creates an option in theme options > contact form > google maps to create the API key. Fixes issues and adjusts the twitter widget to the new API changes of Twitter. Fixes warning for out of date WooCommerce template overrides. Another needed update and fix for the twitter widget to reflect new Twitter API changes. Performance upgrade for some transient queries in the database. Fixes standard fonts falling back to browser default in webkit and revslider arrows. Fixes buddyPress theme option sidebar settings not always being applied correctly. Fixes anchor link scrolling not working if anchor is on a different page. Adds Facebook App ID to the Facebook Page widget to make all features work. Fixes blurry grid images and improves responsive images overall. Fix color calculation for the header background color & opacity. Fix: WooCommerce product variation showing quantity even when only sold individually. Fixes Google Maps not working due to error with infobox JS. FIX: Theme Options not saved to all languages when using WPML with current language set to “all” & main language other than “en”. Fixes google font char subset loading issue. Fixes Woo featured products element SHOWING non-featured products. Fixes PHP notices when using recent works element. Fixes lightbox slideshow videos not showing. Fixes WPML/PolyLang saving options to all languages when current language is set to ‘all’. 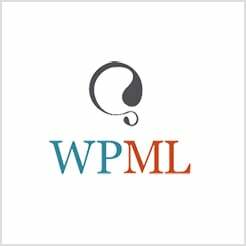 Fixes site performance issue when WPML string translation addon is used. Fixes portfolio items per page option set to 0 not showing all posts. Fixes WooCommerce product variation description.